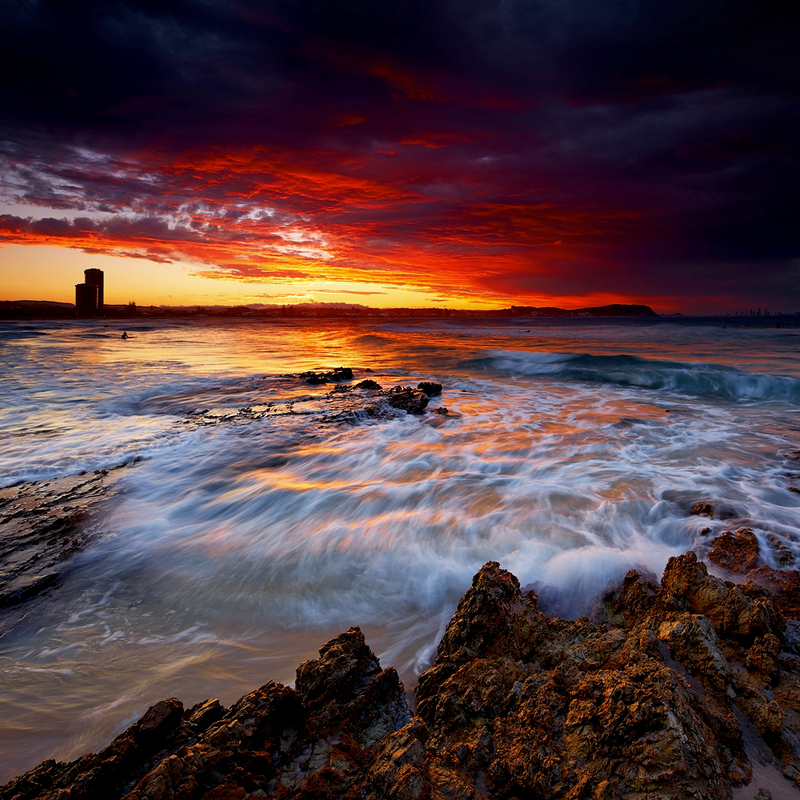 "Sunset over Palm Beach, as seen from Currumbin Rocks. "The infamous "Cathedral" rock-formation within Mount Buffalo National Park, high in the Victorian High Country. A decent cover of snow providing a perfect contrast for the earthy tones of the barren granite landscape, and not to mention the spectacular sunrise that Mother Nature offered up to me this special morning. "Shooting in blizzard-like conditions wasn't exactly what I'd planned for nor what I was hoping for, but alpine environments are known to throw anything and everything at you, so I had to make the most of what I was given. "The first warm rays of sunshine are welcomed by Craig's Hut (and two very cold photographers) high upon Mt Stirling in Victoria. "I love documenting the old farm sheds of Australia, however it's not often that I get the chance to photograph them in such wonderful 'post sunset' light.